NGEX provides data and platforms that help businesses reach, engage and understand consumers in Nigeria and the Nigerian Diaspora. We use data from multiple sources, combined with insights and intelligence gained from our operations and field activities and 3rd party data to help businesses identify credible opportunities, increase awareness of their products and drive engagement with customers. 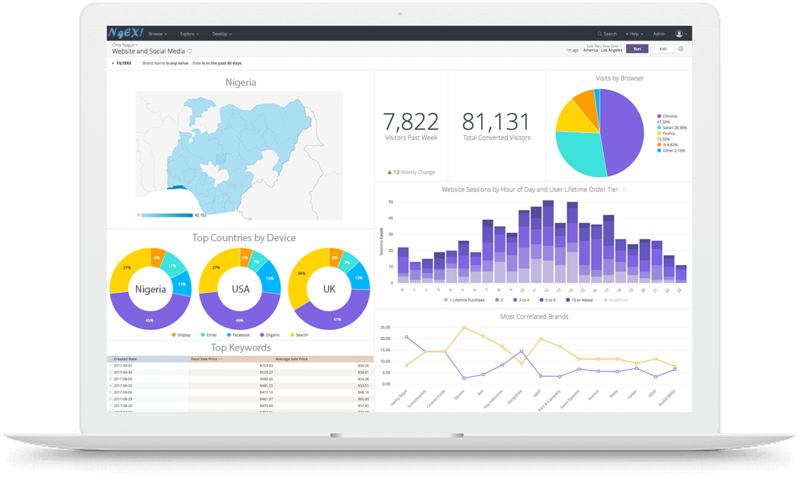 Our Data Analytics solutions enable clients analyze and visualize aggregated data on consumers and businesses in Nigeria and the Nigerian Diaspora. They also help uncover valuable insights on activities, interests and preferences of these audiences. Our platforms offer Nigeria-related content and information to global audiences. They enable businesses improve visibility and drive engagement with consumers and influencers in Nigeria and the Diaspora. 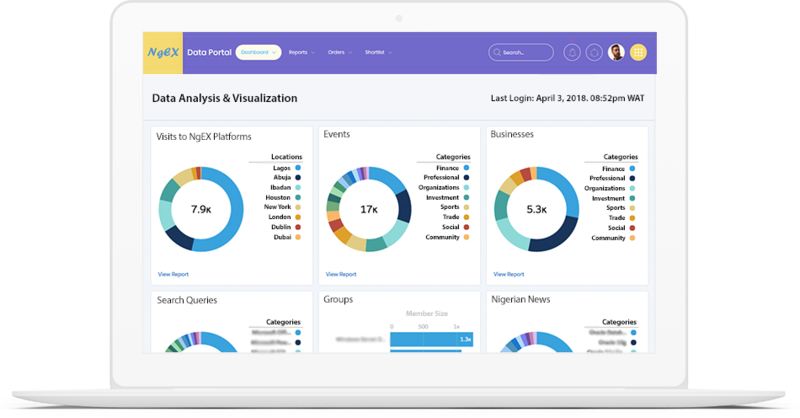 Our API solutions enable developers and 3rd parties build contextually relevant Nigeria-related solutions using NGEX data and information. Many important decisions in Africa are being made with inadequate information because it is very challenging to get reliable information about businesses and consumers. At NGEX, we focus on providing complete and accurate data and information, in a timely manner, in formats that are easy for organizations to use and understand. Gain a competitive edge by using NGEX Data, Analytics, Insights and Engagement tools.